The Republic of Philippines is a sovereign nation in Southeast Asia. It is an archipelago comprising over 7,000 islands spanning an area of more than 115,000 square miles. The Philippines has a population of close to 98 million people, making it the 12th most populated nation on Earth. More than half of the nation’s population lives in Luzon, while a vast majority of the remaining half live in Mindanao and Visavas. Together, the three areas comprise the main geographic regions of the Philippines. The nation has a very diverse population. Some ethnic groups in the country trace their roots back to people who migrated from Taiwan thousands of years ago. The nation also has a fair mix of people of Chinese, Japanese, Indian and Malaysian origins. The capital of the Philippines is Quezon City, but its most populated urban center is Manila, a vast teeming metropolis of nearly 12 million people. The Philippines is a constitutional democracy with an elected president as the head of state. The country is considered a newly industrialized economy, and one that is rapidly transforming from an agrarian nation to a high-tech superpower in Asia. The country has the 40th largest economy in the world by Gross Domestic Product. In recent years, the country has emerged as major exporter of semiconductors, transport equipment, copper, electronic products and fruits. The country has also become a major center for software development and offshore business process operations. The United States is one of the country’s biggest trade partners. Others include China, Japan and South Korea. Shipping a car to the Philippines from the United States can be a fairly expensive proposition. While many Philippines international shipping companies offer international shipping to the Philippines at reasonable rates, import duties and other taxes can add significantly to the total cost. Often, the taxes and customs duties to import a car to the Philippines can go up to 100 percent of the value of the vehicle. In addition, car importers often have to pay origin and destination charges and customs processing fees of up to $500 to import a vehicle into the Philippines from the United States or other countries. The actual process of shipping to the Philippines or from the country to the United States is a fairly straightforward process. 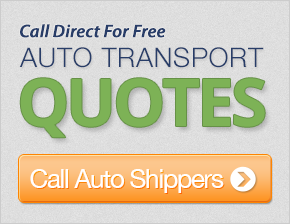 Most shipping companies transport cars in containers or on board Roll on Roll off (RoRo) vessels. The cost of shipping a car from the Philippines to the United States in a container typically ranges from $1,700 to $2,200, depending on port of origin, destination and the type of vehicle that is being shipped. Generally, the larger the vehicle, the higher the shipping cost. Many shippers also offer a RoRo option in which cars are transported on special purpose car carrying vessels. Such ships operate on a less frequent basis than container ships, but are often considerably less expensive as well.